Maria Kanellopoulou is one of the best female singers in Greece, also well-known in Austria and Switzerland because of her often live performances in these countries. 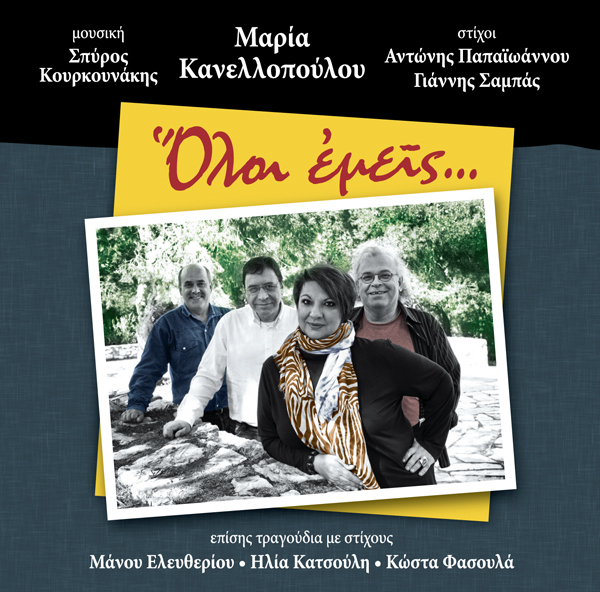 In her new CD is titled “Oloi emeis” ( We all), one may find all the group: Maria Kanellopoulou (vocals), Spyros Kourkounakis (music) and the lyricists M. Eleftheriou, I. Katsoulis, K.Fasoulas, G. Sampas and A. Papaioannou have created a “group cd” as they all like to call it. The songs fit perfectly in Maria´s voice and she proves once more that she is indeed one of the best singers of the new generation.